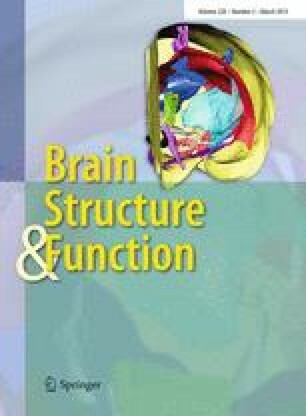 Previous studies suggested that the topological properties of brain anatomical networks may be aberrant in schizophrenia (SCZ), and most of them focused on the chronic and antipsychotic-medicated SCZ patients which may introduce various confounding factors due to antipsychotic medication and duration of illness. To avoid those potential confounders, a desirable approach is to select medication-naïve, first-episode schizophrenia (FE-SCZ) patients. In this study, we acquired diffusion tensor imaging datasets from 30 FE-SCZ patients and 34 age- and gender-matched healthy controls. Taking a distinct gray matter region as a node, inter-regional connectivity as edge and the corresponding streamline counts as edge weight, we constructed whole-brain anatomical networks for both groups, calculated their topological parameters using graph theory, and compared their between-group differences using nonparametric permutation tests. In addition, network-based statistic method was utilized to identify inter-regional connections which were impaired in the FE-SCZ patients. We detected only significantly decreased inter-regional connections in the FE-SCZ patients compared to the controls. These connections were primarily located in the frontal, parietal, occipital, and subcortical regions. Although small-worldness was conserved in the FE-SCZ patients, we found that the network strength and global efficiency as well as the degree were significantly decreased, and shortest path length was significantly increased in the FE-SCZ patients compared to the controls. Most of the regions that showed significantly decreased nodal parameters belonged to the top–down control, sensorimotor, basal ganglia, and limbic-visual system systems. Correlation analysis indicated that the nodal efficiency in the sensorimotor system was negatively correlated with the severity of psychosis symptoms in the FE-SCZ patients. Our results suggest that the network organization is changed in the early stages of the SCZ disease process. Our findings provide useful information for further understanding the brain white matter dysconnectivity of schizophrenia. R. Zhang and Q. Wei have contributed equally to this work. The online version of this article (doi: 10.1007/s00429-014-0706-z) contains supplementary material, which is available to authorized users. This work was partly supported by the 3rd Affiliated Hospital of Sun Yat-sen University, the funding of National Natural Science Foundation of China (Grant Numbers: 81071149, 81271548, and 81371535), Natural Science Foundation of Guangdong Province (Grant Numbers: S2012010009027), and Scientific Research Foundation for the Returned Overseas Chinese Scholars (RH), State Education Ministry of China. The authors appreciate the editing assistance of Drs. Rhoda E. and Edmund F. Perozzi. The authors also would like to thank the anonymous reviewers for their constructive comments and suggestions. The authors reported no biomedical financial interests or potential of conflicts of interest.